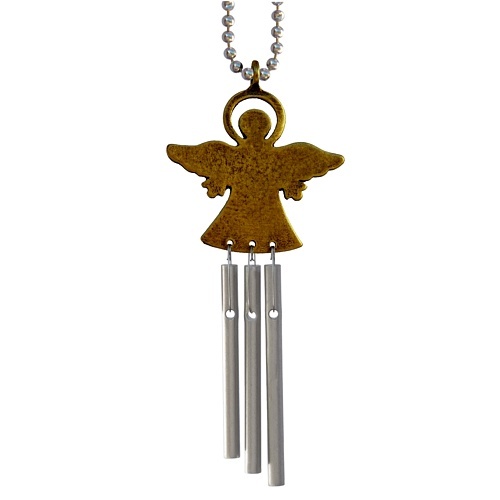 Musician and musical instrument maker Jacob Sokoloff has been creating his unique brand of perfectly tuned wind chimes for over 35 years. 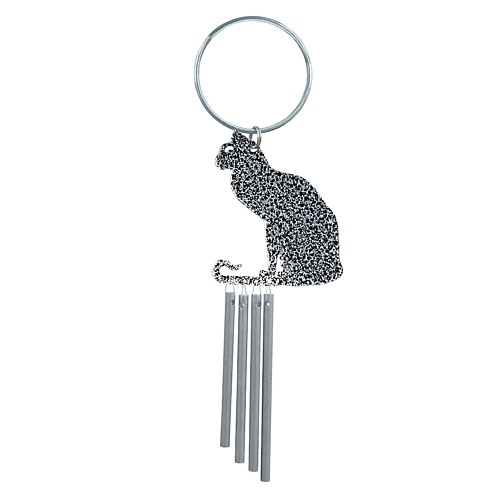 From the small and whimsical "Car Charm" which plays music as you drive, to the relaxing and gentle Silhouette Chime... Jacob's chimes are among the best in the world. Our chimes are happily made in the USA. Our musical car chimes will soothe and relax as you navigate through the busy highways of life. Chime maker Jacob Sokoloff hand tunes these car chimes to produce a musical sound guaranteed to make you smile. The Musical Car Charm features three perfectly tuned pipes hanging from a whimsical shape. 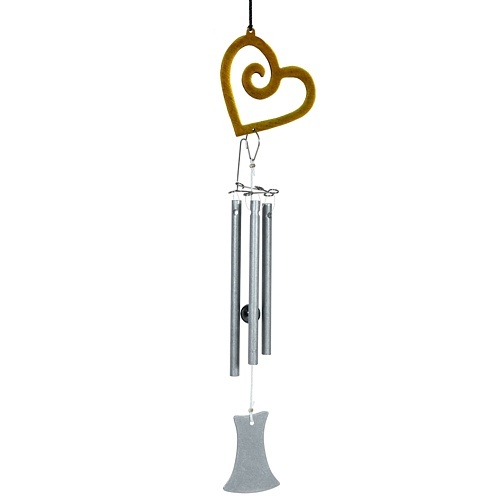 The chime image has an antique gold colored finish. The cute packaging makes it a perfect gift. Hang it from your rear view mirror, spice cupboard knob, ceiling fan pull, or use as a holiday ornament! The Car Charm comes packaged attached to a cute little cardboard "Beetle" and wrapped in a poly bag — it's the ideal gift! Greet your guests with pure music and always know when someone is coming or going with Jacob's Musical Door Chimes. Musical instrument maker Jacob Sokoloff takes great care in the tuning of this chime. The blending of its four notes, all tuned in the pentatonic scale, creates a pleasant and musical effect at the slightest movement of the door. Simply hang on the door knob and open the door to music! Also works great as a "doggy" doorbell! "Catch the midnight snacker" with these clever fridge magnet chimes. Musical instrument maker Jacob Sokoloff takes great care in the tuning of this refrigerator magnet chime. The blending of its three notes, all tuned in the pentatonic scale, creates a pleasant and musical effect upon opening the fridge, file cabinet or metal door. We make music everywhere we go! 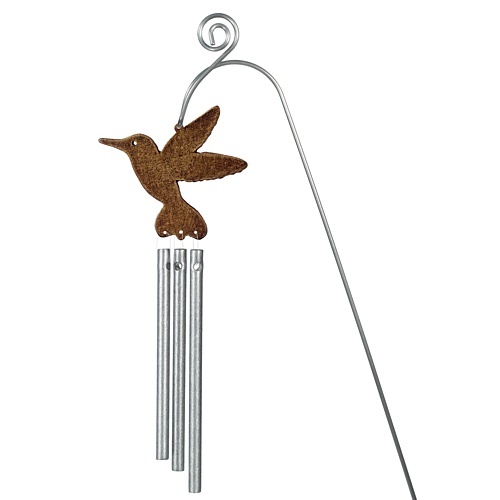 Decorate your garden, vase or potted plant with the gentle chiming of a Musical Plant Adorn-a-ment wind chime. These musical plant stakes feature three perfectly tuned solid aluminum pipes hung from natural, celestial and whimsical shapes perched atop a weather-resistant stainless steel stake. 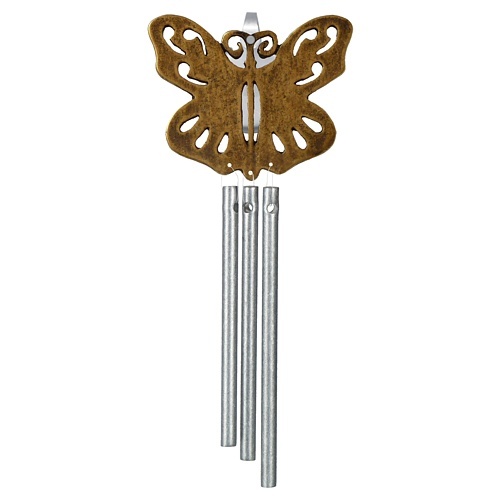 The chime image is cast in metal and finished with antique brass. The Master Chime Maker has been at it again with his handsome and elegant new Silhouette line. These new chimes boast our biggest "sound bang for the buck" yet, as four solid aluminum pipes are strung around a brass clapper to produce Jacob's signature melodic sound in a most vocal way. 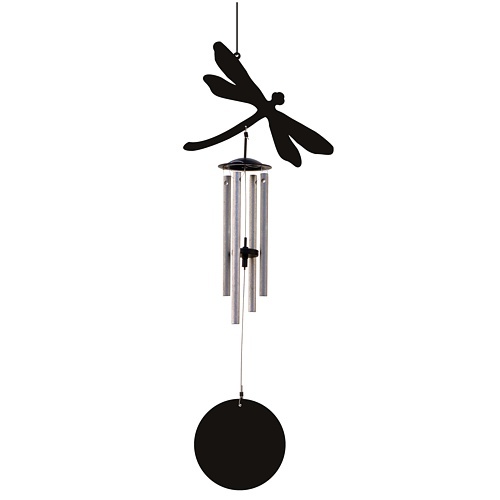 The pleasing music played by this performer sounds as good as that produced by chimes costing much more, while the classy black silhouette image with black windcatcher adds an elegant touch to any setting. Hang it inside or out, let it catch a breeze or a draft, and let the music wash over you!